I may have bought the mug in your picture. I LOVE it! I also got 2 of the placemats. Perfect Disney touch without being over the top Disney. Yea, I did like the subtle designs on a lot of the merchandise and I love the purple color on most of the stuff. I was surprised at how small the store is as well. The Haunted Mansion is one of my favorite rides--mainly because it has changed since my first Disney trip in 1976 (at the young age of 3). I even had a Haunted Mansion board game when I was little. 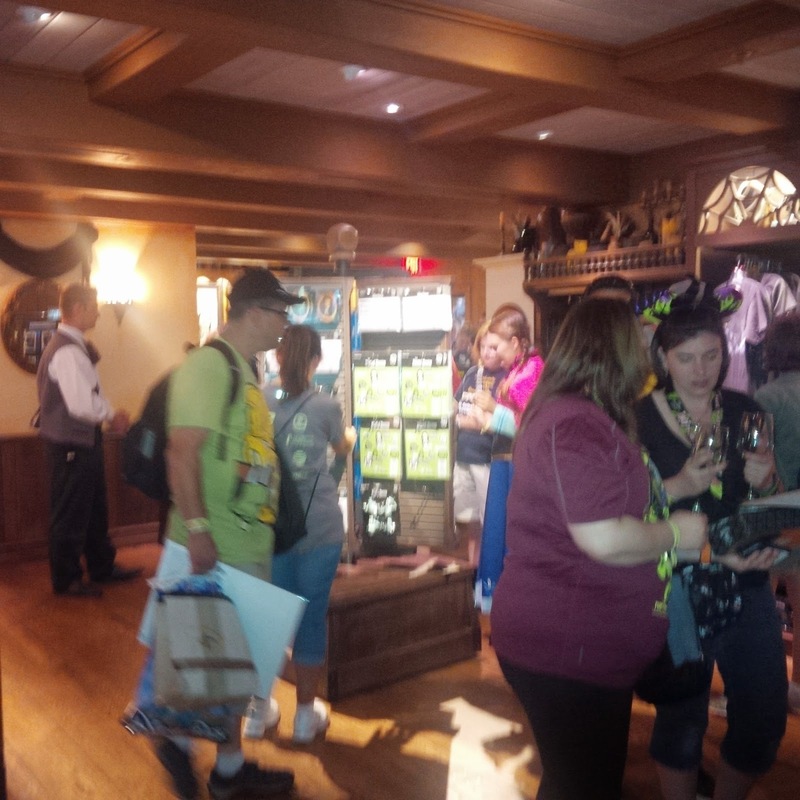 Anyway--I think it's awesome that most of the rides have a store/merchandise. I don't buy a lot of souvenirs, but I did buy a cute leather bracelet from the Pirates of the Caribbean shop while I was there. I love your blog--reminds me of how much I love Disney World! Thank you Paige! I think having a Haunted Mansion board game would have been pretty cool! Yea, I thought it was a pretty neat idea! 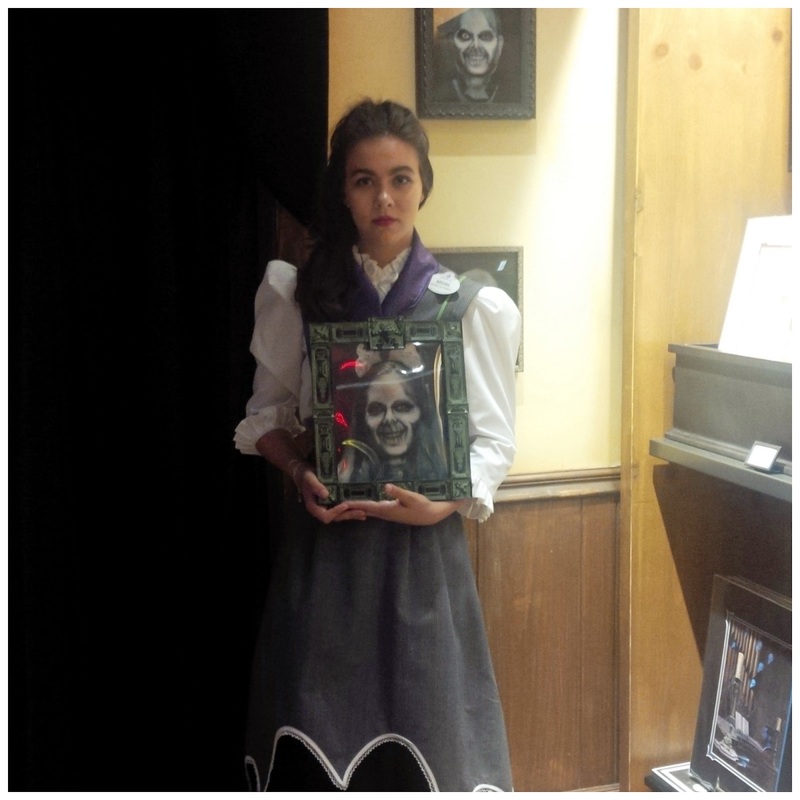 I love the Haunted Mansion!!! One of my favorite things. I can remember going as a little girl (first time ever to Disney - 6 yrs old) & being SCARED to death in that room before you get on the ride... when the pictures changed. I seriously was FREAKING OUT!!! haha! I could definitely see where that first room would spook you out as a child! Oh, I didn't even notice what it said on the mug! The ghost photograph would be pretty cool! Yea, lots of people where waiting in line to have them done! 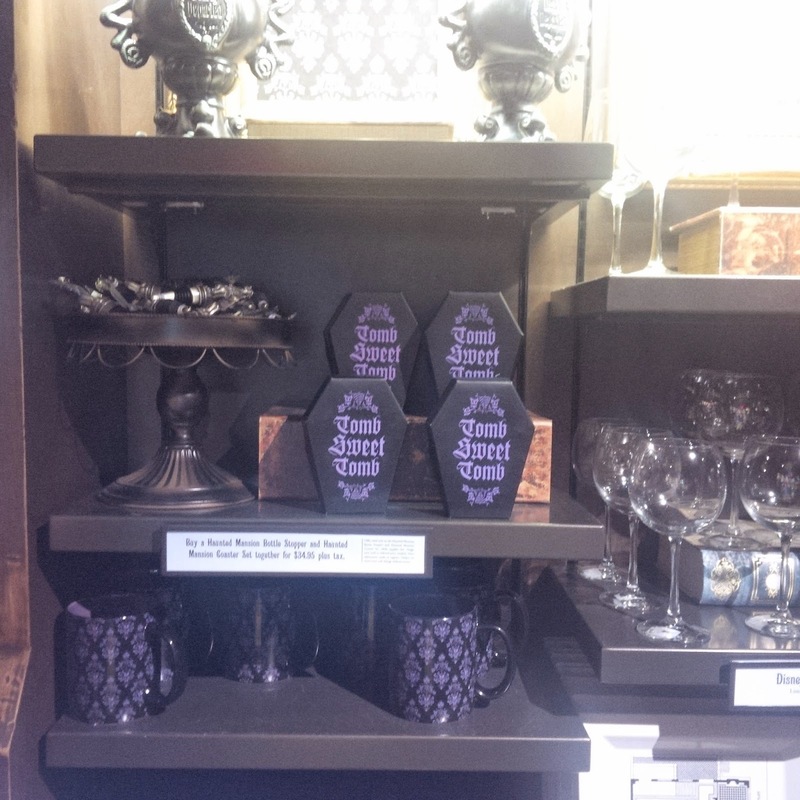 There's a lot of that kind of stuff at the Haunted Mansion store in DL. I haven't seen the photo thing, though. That would probably have appealed to me as a teenager. I really wish Disneyland had a wider variety of merchandise that wasn't so specifically ride and Disney themed. They used to have real Cowboy hats and boots and good silver and turquoise western jewelery in Frontierland. The shops in New Orleans Square used to have really unique stuff also. It was neat stuff to buy to remember a trip, but it didn't scream out "Disneyland." I miss that. I'll be curious to see how the shops at DL compare to the ones at wdw. Will you be running the Princess half marathon when you visit in February? 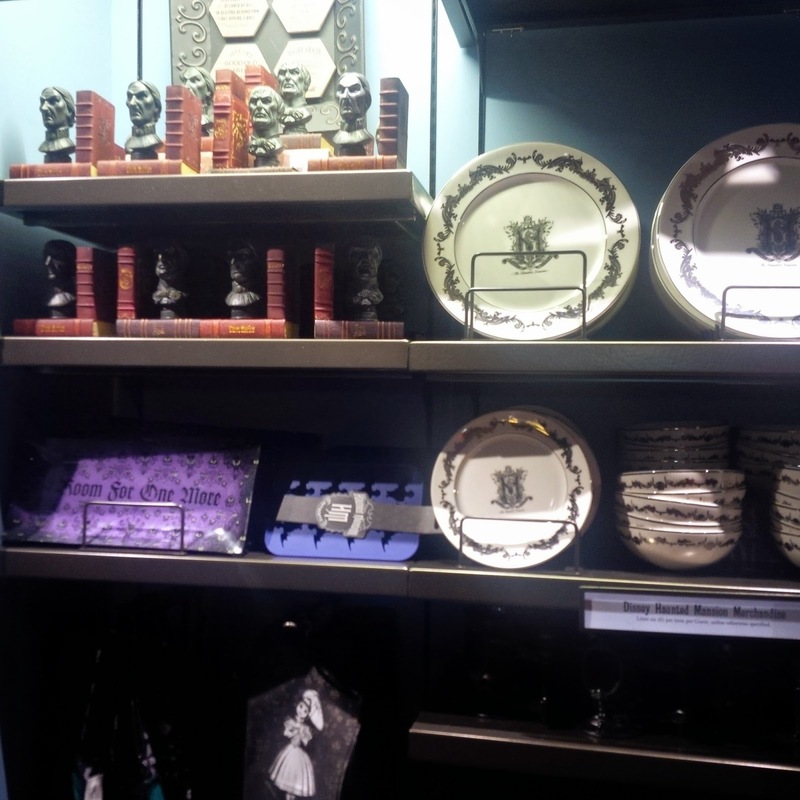 I love The Haunted Mansion, so I will definitely be hitting this store up in January. Very cool! Hopefully there won't be a line to get inside by then! That's pretty neat! I probably wouldn't buy things from the store though. If they're selling stuff I've seen online at the Disney Store, then there's nothing that jumps out at me. I didn't even take a look online to see if any of the merchandise was similar. 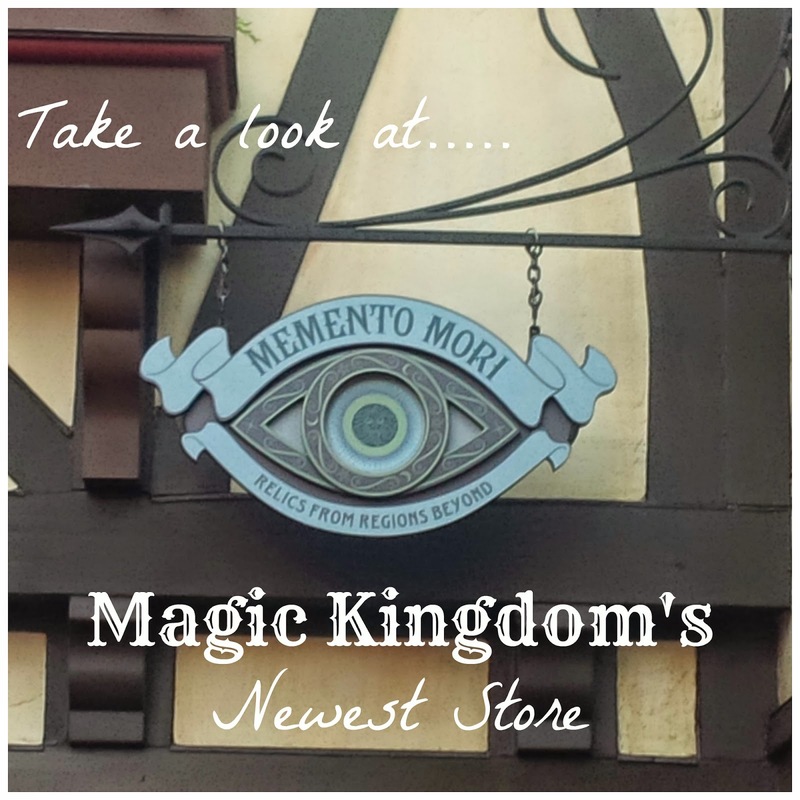 I did love the store, but had to restrain myself from splurging on some of the items! I'd love to spend some time there when it wasn't so crowded though! I purchased some things from the shop on my most recent trip, January 2015. I purchased a Madame Leota ear hat, Bride plush, and Hitchhiking Ghosts plushes. I am very happy with the shop and think it is a great tribute to the ride.